Recent conversation included this wood burning stove. My dear friend oops56 is no longer with us. He has passed onto greener pastures in the stovie world in the sky. He is dearly missed. I miss our ol' friend, Opps56! Robert was such a character packed with years of knowledge and experiences. He contributed a lot of neat ideas to this forum. 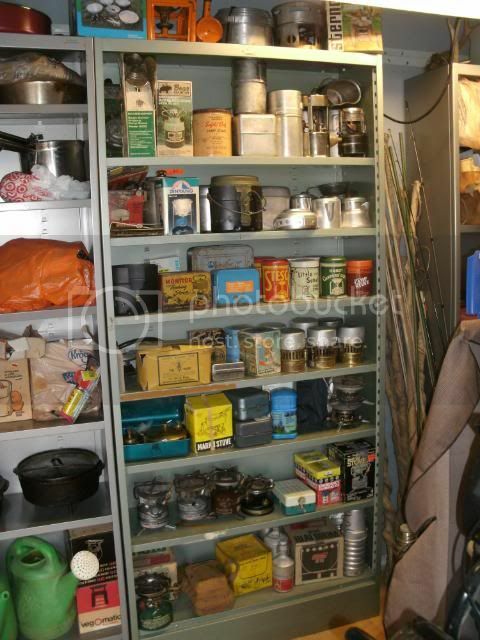 He had a very interesting collection of backpacking stoves and gear. I want to go back and review his video on removing rust from metal. He cut that square hole in a cast iron fry pan to use in an oven he built.